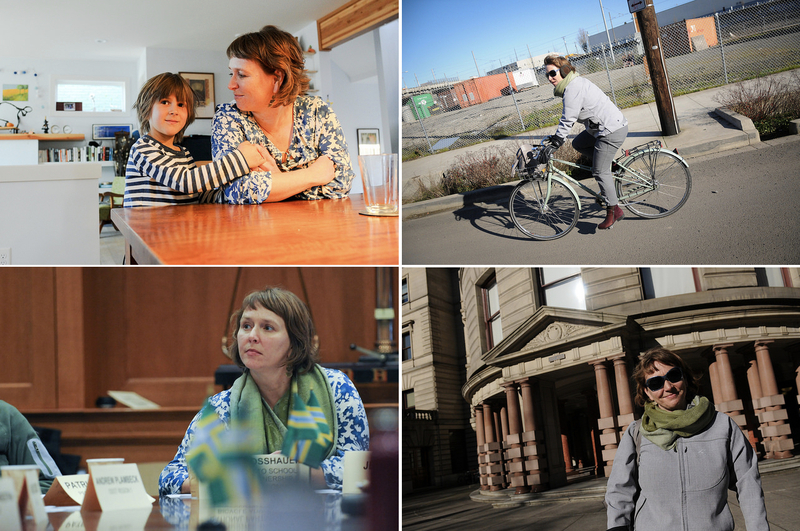 The people, clubs, and culture that make up Portland’s bike scene. Posted on February 7th, 2019 at 1:02 pm. Posted on October 17th, 2018 at 2:36 pm. Danny Dunn hard at work. Have you ever looked around as you roll through the streets and thought, “Geez, there’s so much trash everywhere!” I certainly have. 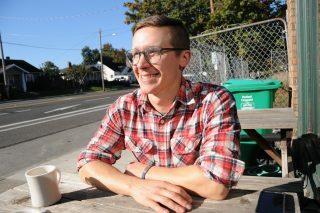 And while I’ve often thought of doing something about it, Portlander Danny Dunn has taken action. Since the end of August, Danny has been picking up trash while he bikes around town. 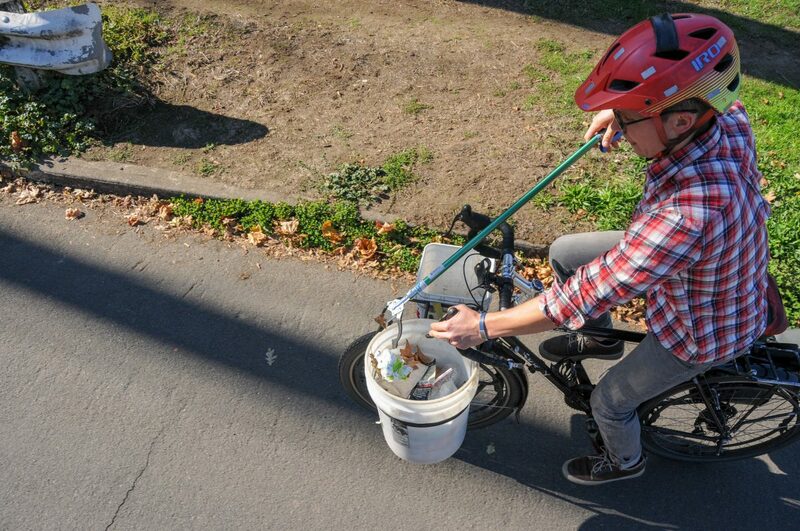 With a simple system of plastic buckets strapped to his front rack and a $25 grabber tool, Danny glides along, making Portland cleaner one piece of trash at a time. I met up with him in Arbor Lodge yesterday. Posted on October 3rd, 2018 at 9:41 am. Posted on September 13th, 2018 at 2:28 pm. 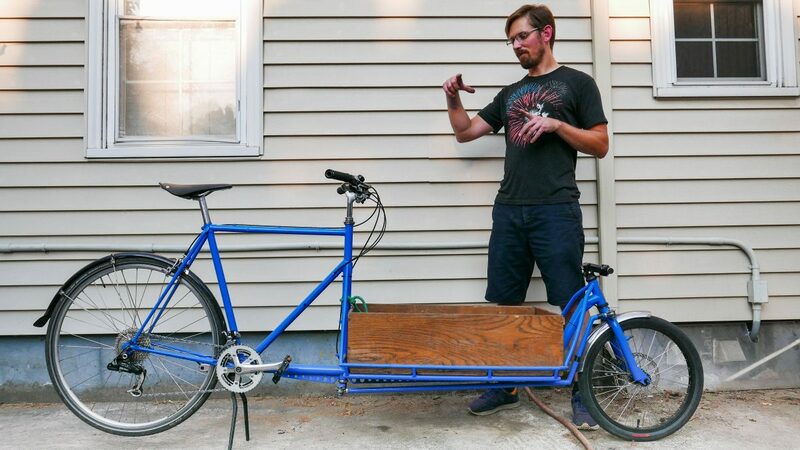 Ryder uses his customers’ existing bikes to build his distinctive cargo creations. You may have seen Jake Ryder’s creations via J_ryde on Instagram, ogled the cyclocross images he shoots as Sellwood Cycles’ official photog, or heard his name from a friend who is into Zoobomb or freak bikes. Either way, Jake is a multi-talented maker who has carved a niche based on his unique perspective on cycling. 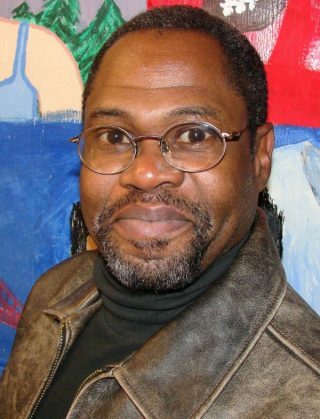 I visited his shop in southeast Portland recently to learn a bit more about him. Posted on August 27th, 2018 at 1:30 pm. Posted on August 8th, 2018 at 11:13 am. 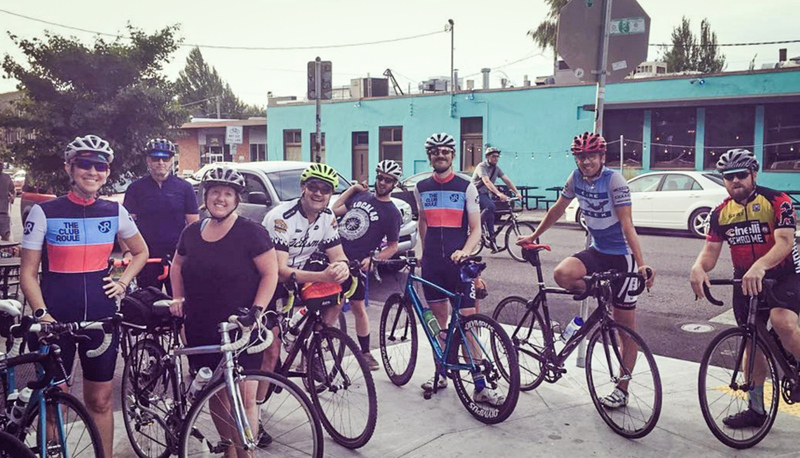 A weekly ride in Forest Park is a staple for Team Nonstop. Welcome to the first of what we hope will be many more local team/club profiles! 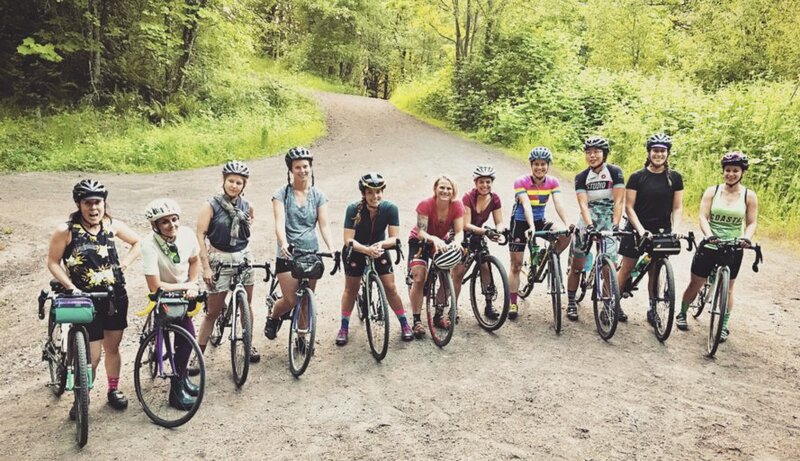 Portland is full of great groups of people who share a love for riding bikes. If you’re looking for inspiration — whether it leads to racing or not — we hope these short profiles will help you find your people. Posted on April 5th, 2018 at 12:23 pm. Posted on April 3rd, 2018 at 10:23 am. Posted on March 21st, 2018 at 1:34 pm. 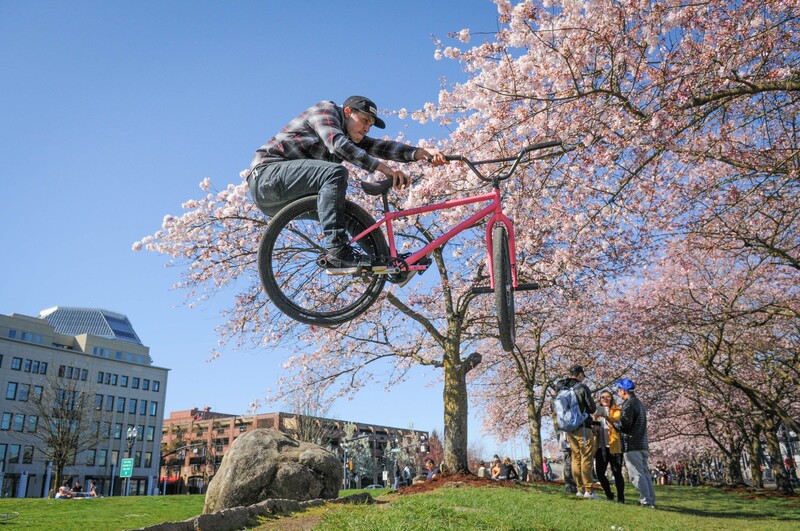 Ramon Antonio found a nice jump line amidst the cherry blossoms in Waterfront Park yesterday. 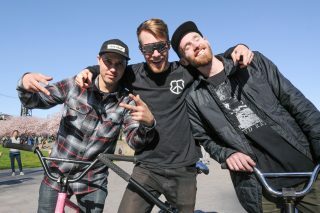 Ramon Antonio (left), Matt Reyes, and Devin Tolman. A reunion of old friends has sparked a resurgence in Portland’s fixed-gear freestyle scene. 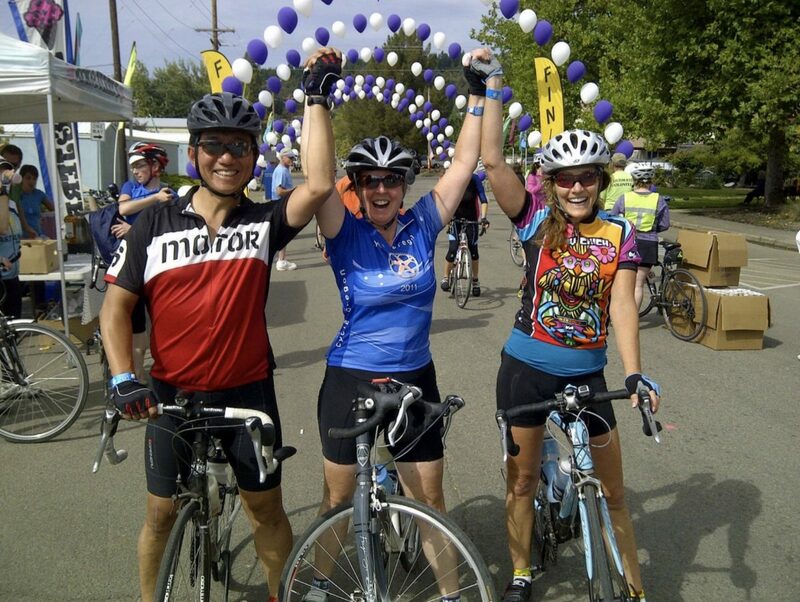 Matt Reyes, Ramon Antonio, and Devin Tolman first met through the San Francisco Bay Area cycling scene. Lovers of fixed-gear freestyle, a discipline that combines flatland BMX tricks with the speed and grace of fixed-gear road bikes, the trio is happily established in Portland. 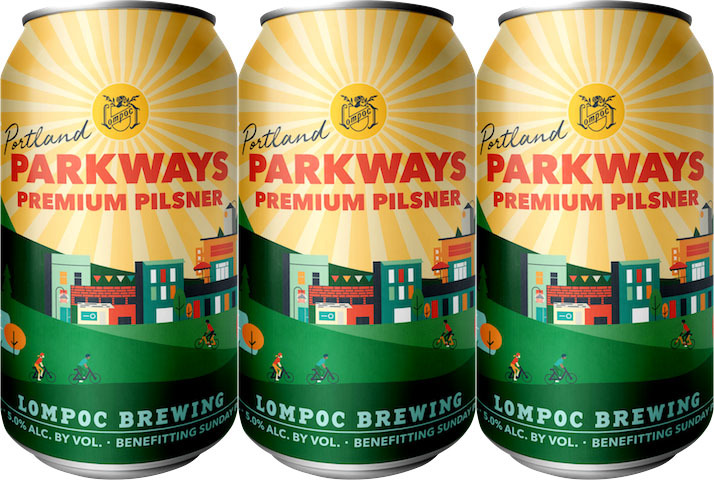 Now they want to connect with other riders and create a community around fixed-gear riding similar to the vibrant scene they left behind in their previous home. I caught up with them under sunny blue skies and cherry blossoms in Waterfront Park yesterday. Posted on March 8th, 2018 at 1:31 pm.